According to the revelations, Samsung will launch a new machine for positioning the entry-level market in the near future - Samsung Galaxy J4/J6. As for performance, Samsung Galaxy J4 will carry Samsung's own Exynos 7570 processor, based on 14 nanometers low power process technology, providing 2GB+16GB, 3GB+32GB two storage portfolio for everyone to choose. On screen, Samsung Galaxy J4 uses an ordinary 16:9 aspect ratio 5.5 inch display, 720P high-definition resolution, and Samsung's own SuperAMOLED. For camera, its rear 13 million pixel single shot, F1.9 super aperture, the front 5 million pixel self timer lens, equipped with self timer dedicated flash. As for Samsung Galaxy J6, there is no doubt that the configuration and performance will be better than the Galaxy J4. I'm going to buy a Samsung Galaxy J4 or Galaxy J6 for my Mum. Before this, I need to consider a problem, there are many photos and videos storing in my Mum's old Samsung phone, she has been reluctant to delete, I hope I can sync these photos and videos to the new Samsung Galaxy J4/J6, how can I do? In fact, Mobile Transfer can help you. This is a highly efficient data processing software. 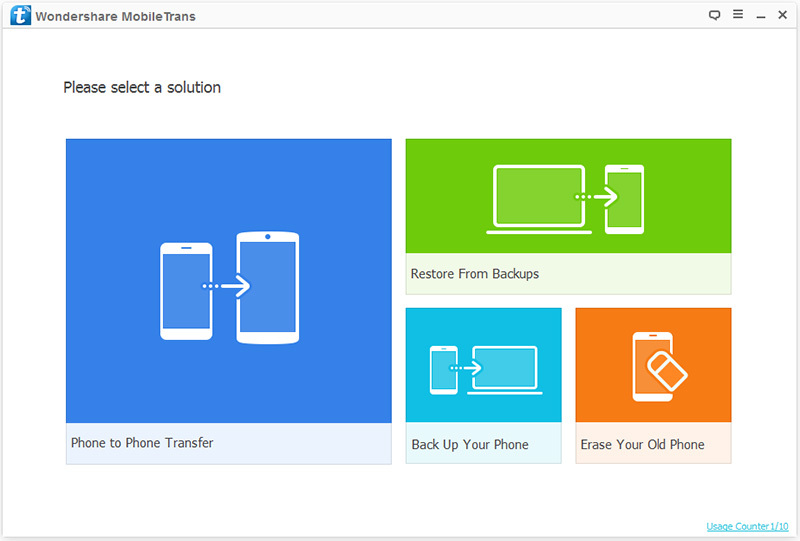 Not only can you use it to back up your phone's data, you can also use it to transfer the phone data. Transferable data include contacts, SMS, music, photos, videos, calendar, call history, apps and other documents. You can transfer data in iPhone, Samsung, HUAWEI, SONY, LG and other phones. More than 8000 devices can be compatibled with. You only need 3 steps to complete the transfer process, and the whole process takes only a few minutes. Efficient, fast and convenient make it easy for you to transfer data. 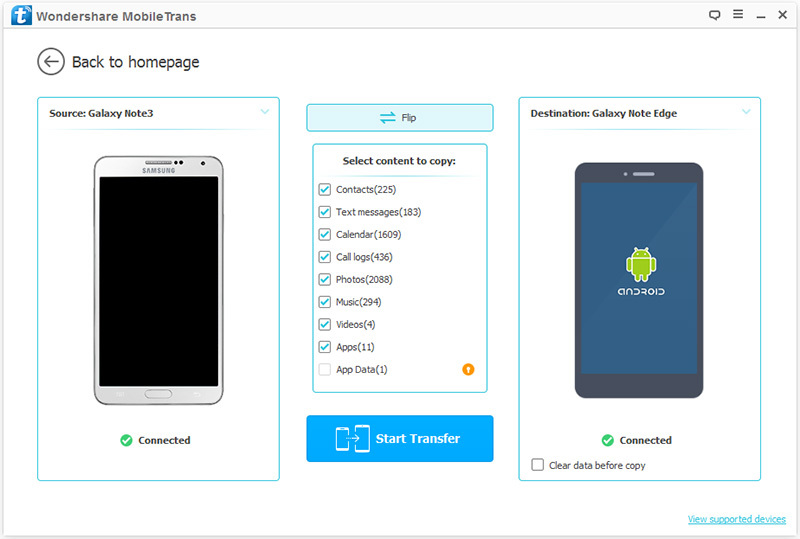 First, you need to download and install Mobile Transfer on your computer. Then, after running it, you can see four modules, please find and click "Phone to Phone Transfer" to go on. Next, you need to connect your two phones to the computer via USB. When the program detects your phone, you need to make sure your old Samsung phone is displayed on the left, Samsung Galaxy J4/J6 is displayed on the right. And you can click on the "Flip" button to adjust the direction of the two phones. Next, you can find some data types between two phones. All data is checked by default. You can cancel other files except photos and videos. Then click "Start Transfer" to sync them between your phones. Note: It is important to note that in the process of transfer, make sure that the connection between the phone and the computer is normal.